VALUE: TWO FOR THE PRICE OF ONE! Do you find yourself sitting there, frozen like a deer in the headlights, wondering which way to turn as media hype, conflicting opinion, manipulated press releases and main stream media combine to make you more and more confused about what's REALLY HAPPENING in the markets? Are you fed up with reading "Yesterday's News"? Do you want to buy or sell shares but don't know which shares to buy or when is the best time to buy or sell them? Do you want to take profits but are unsure when it the best time to take them but don't want to leave money on the table? Are you troubled and unsure if your stock broker might have a vested interest in the shares they recommend? Do you want better control of your own investments? Do you need better strategies and risk mitigation to protect your money and Investments? Are you confused and looking for clarity, guidance, support and direction? Would you like to be one step ahead of the rest? Getting in BEFORE the big moves and giving you the OPPORTUNITY TO TAKE PROFITS on the big moves up BEFORE other people actually know what has happened! "Awesome move in the banks!! Getting long yesterday was a great idea. As was short SAR just for a quick short at 3.40. You can get a better grip on the markets when you use charts and technical analysis and not just fundamentals, a well worn shock and horror marketing formula, yesterday's news, manipulated press releases and the controversial opinions, often of dubious others, in main stream media which combined... is the perfect recipie for confusion, doubt, uncertainty and unfortunately for many.... VERY COSTLY MISTAKES!! Find the clarity you are looking! David Hunt uses charts and technical analysis to sift through the hype and confusion to bring you the clarity you are looking for. David strips it all down and gets to the bare bones in his Annual Markets Forecast and Fortnightly Strategy Update Webinars so that you and his Profit Hunters Group members, professional investors, brokers, advisors, fund managers and SMSF's can base your decisions about the markets, stock, shares and indices that you are interested in on solid foundations, up-to-date market developments and technical analysis. 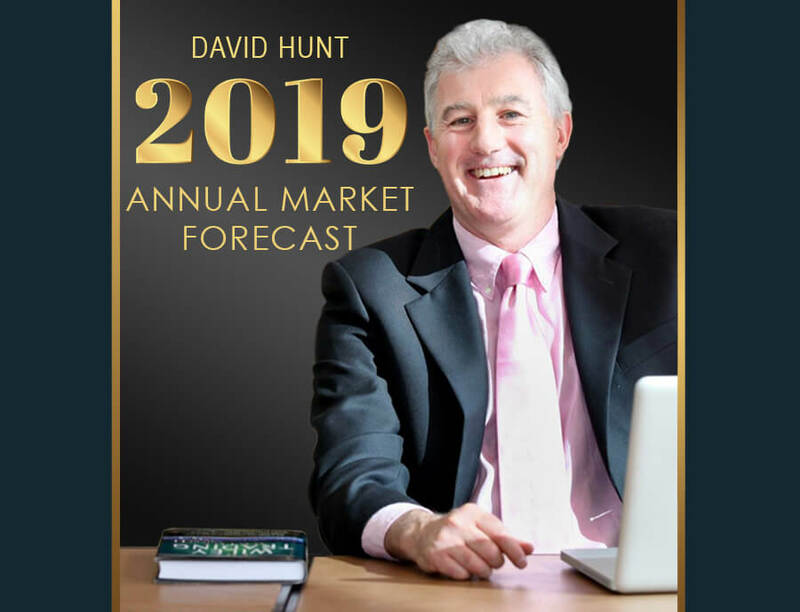 David answers your questions and reveals what he thinks will happen in the markets for the year ahead and fortnightly updates his forecast as the markets constantly fluctuate. Hear and see the reasons why David predicts what things will happen, or will not happen, in the markets as he closely monitors and reports on market trends and the latest national, international, corporate and policital developments that may or may not affect the markets, shares or indices you are interested in. Ask David your questions and see his individual charts as he performs live, his indepth technical analysis and answers your questions with personal advice, recommendations and market and strategy/risk mitigation updates. For more than 25 years now, I have been creating an Annual Stock Market Forecast for Australia, the US in November and refine it into December of every year. My forecasts are very predictable! Back at the end of January 2018 we were lucky enough to pinpoint within a few points the actual top of the S&P 500 and the fact that there would be a decline in the Dow. Using the 2018 Annual Markets Forecast, (prepared Nov/Dec 2017), we knew that this next period into February and a little bit beyond would be probably a buying opportunity which we took, we then saw the market move but not really gain any traction until the middle part of June. We then set about buying and in late September and early October we used the opportunity at that time to heavily exit Australian shares in our SMSFs and Super Funds as well as US shares and indices. My US Stock Market Forecast gave good profits and good guidance. I warned of a coming market fall in late Sep early October so in early October, we were well prepared for a good fall in Australian Equities, I took a lot of my own Super to cash and PHG members were amply rewarded and we got back in at optimum times. We were dip buyers throughout most of 2018 around the turning point times despite this, the Dow did not have a positive year and as you can see from the chart below, was quite volatile and perilous. Are You Uncertain about the future but want to make sure you make some money? Register to watch the recording of the current webinar and or to attend the next scheduled, Annual Markets Forecast and Fortnightly Strategy Update Webinar. See and hear what David has to say and get a feel for what your shares can, or can't, do this year. This ideal for longer-term investors, Money Managers who want to move with the flow of markets over time and want to stay away from the noise and focus on the right time to buy, sell or hold. ASK DAVID: Ask David Questions during the webinar on your own shares, trades, commodities - whatever you want! YOUR QUESTIONS FEATURED: Register to attend send in your questions with notice before 5pm to have your question featured and worked on by David before the webinar. BACK ON YOUR BIKE TRADES: Investments, trades and shares where you have taken profit but want to get back in because you have had a good move and wanted to continue. BRING OUT YOUR DEAD: Investments, trades and shares you are losing money on and want an exit strategy or a strategy to manage out of the losses. BANK THE CASH: Investments, trades and shares you are making profits on and will want to bank the cash or take profits. Find out where and when and how to take profit and manage the position with stop losses so that you milk the move for as much as you can. 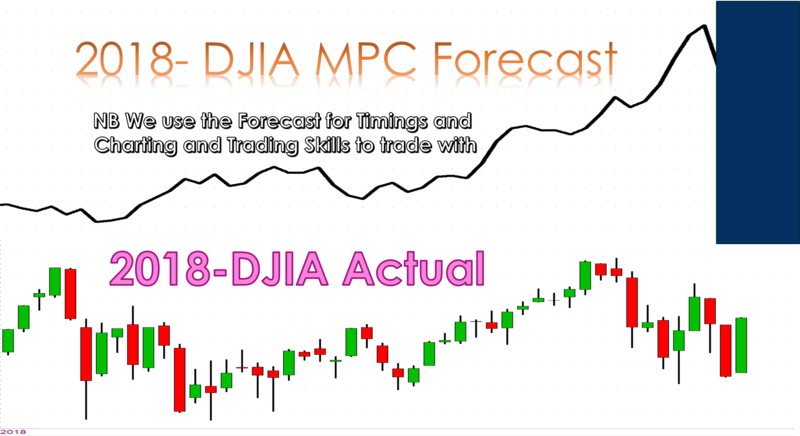 BONUS: Watch The Most Recent Recording AND Attend the next Scheduled Annual Markets Fortnightly Forecast & Strategy Update Webinar - TWO FOR THE PRICE OF ONE!! Busy on The Night? Missed it? No problem! * Register to Attend The Next Scheduled Annual Markets Forecast and Fortnightly Strategy Update Webinar to discover what your shares can, or can't do this year and you will be sent a log-in for the recording so you can watch anytime that suits. Or proceed to checkout below to Attend the Next Scheduled Annual Markets Forecast and Fortnightly Strategy Update Webinar. Annual Stock Markets Forecast and FORTNIGHTLY FORECAST AND STRATEGY UPDATE WEBINAR - FOREX & Commodities + World/US + Australian ASX Indices, Sectors & Shares - Register to Attend/Watch $197.00 for 12 days NON BRONZE, SILVER, GOLD PHG MEMBERS: REGISTER TO WATCH/ ATTEND the CURRENT/NEXT SCHEDULED ANNUAL MARKETS FORECAST AND FORTNIGHTLY STRATEGY UPDATE WEBINAR - FOREX & Commodities + World/US + Australian ASX Indices, Sectors & Shares ALL focused on the Medium-Long Term Timeframes. NB Recording Included with Purchase. When you pay for this you have 2 weeks access to watch the Recording if you cannot make it.